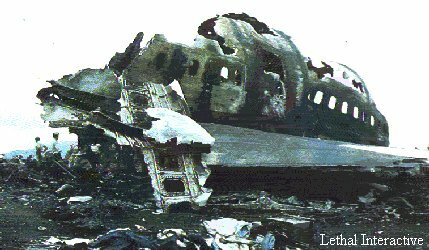 This video shows the total devastation caused when klm ph-buf struck pan am n736pa. 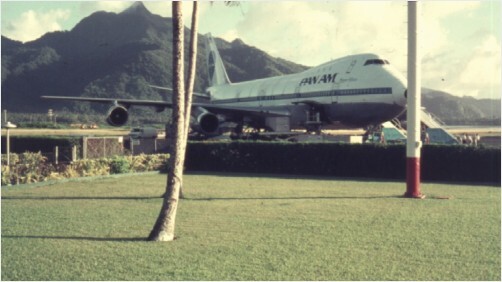 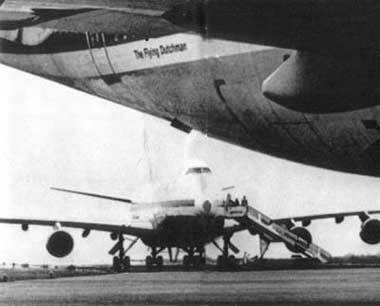 the klm 747s number 3 engien and main landing gear struck the pan am 747 just arft of the cockpit. 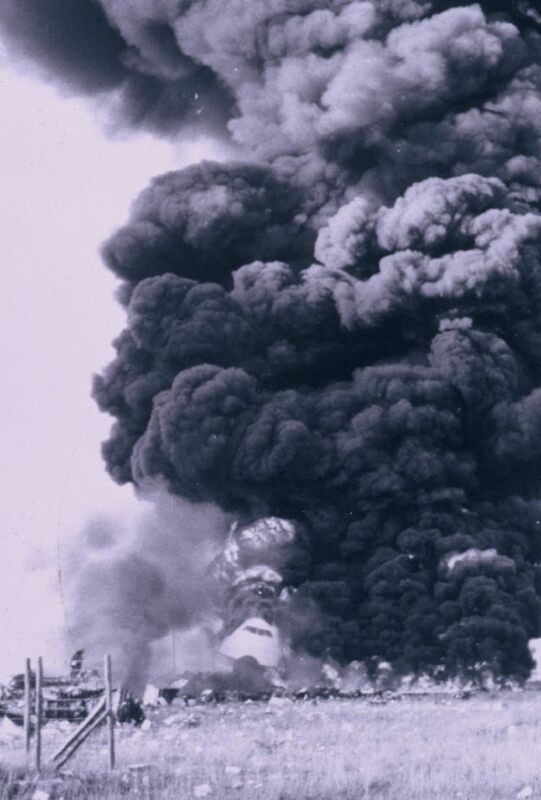 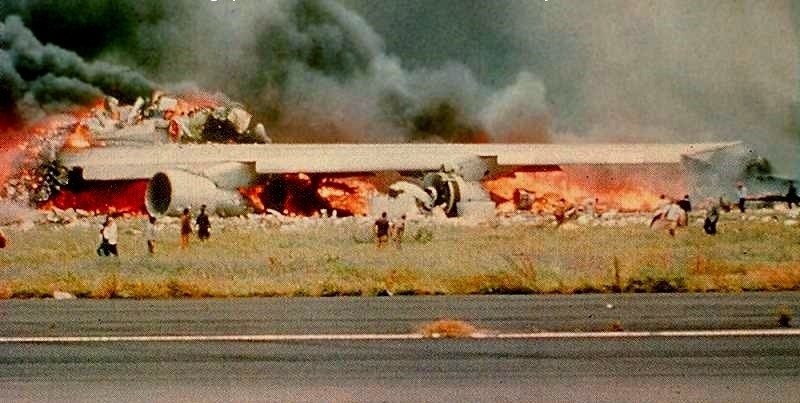 the massive 747 dumped its fuel on the pan am jet when its tanks ruptured on inpact causing a massive fire. 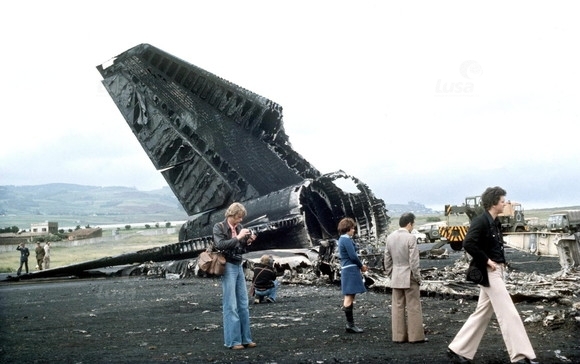 the klm jet then flew a further 200yrds before crashing back onto the runway killing all on board. 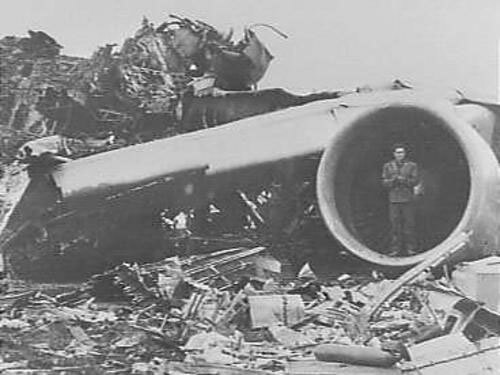 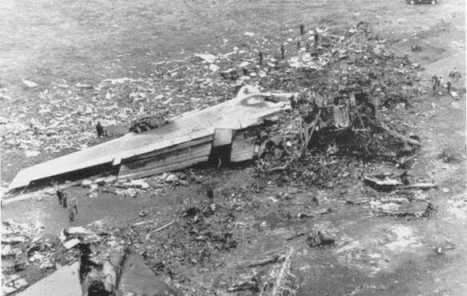 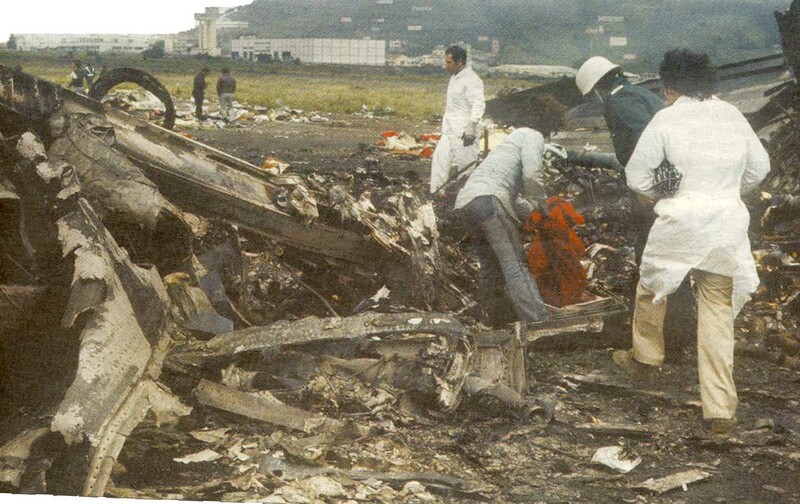 79 passengers escaped the burning hulk of the pan am jet.